My blog baby has turned One! The actual date slipped by me last week, but I wanted to mention it so that I could share the love with all of you FABULOUS readers! Whether you stop me in the hall at church to tell me how much you like the blog, subscibe by RSS or e-mail, check in occasionally to see what I'm up to, or have featured one of my projects, you all have been such a strong support and encouragement to me as I have taken on this huge project. And I'm so thankful for you! So many times I've wondered if all of this work is worth it, and just at the right time a sweet comment or e-mail comes my way that keeps me going! To show my appreciation to YOU, how about a giveaway? 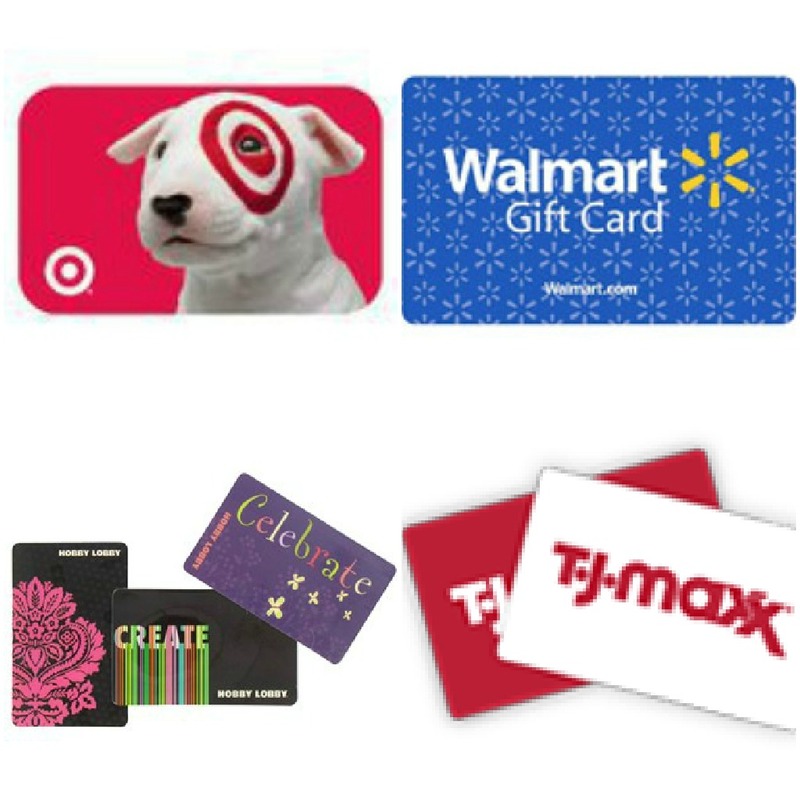 How about YOUR CHOICE of a $25 gift card? To enter, just leave a comment on today's post. You don't have to follow, tweet, facebook, or anything else to be entered (unless you want to!). I'm just thankful that you're here! If you don't have a google account, be sure to leave your e-mail with your comment. If you win, I want to make sure I can contact you! Please, only one entry per person, and the winner will be chosen at random. LIKE ME! TWEET ME! FOLLOW ME! FIND ME IN YOUR E-MAIL INBOX! Along with reaching my year anniversary of blogging, everything for the blog is now all linked up to several social media outlets. Did you notice those new labels over on the right side? My facebook page and twitter account are brand new, so I would be incredibly grateful if you'd hop over and like me, tweet me, or follow me on Pinterest! Also, if you're not currently a regular follower, but never want to miss a post, you can sign up to receive regular posts through e-mail or by my RSS feed. Just click on those links on my sidebar and it should walk you through signing up. Let me know if you run into any snags...I THINK I did everything right, but I'm still learning! Don't forget to leave a comment for a chance to win a gift card! Giveaway will close Saturday evening, 9/15, at midnight CST. I'm so excited to begin a second year of blogging, and so grateful that you all are along for the journey! Jennifer, your blog quickly became one of my favorites that I check every time I have a chance to blog read. I love all your creative and do-able projects and I'm so glad you jumped into the blogging world a year ago! Thank you for sharing so many wonderful ideas and being such a supportive and enthusiastic blog friend!! So glad to have met you! Happy blogiversary! Congrats! I've just recently stumbled upon your blog and have followed along since. Good luck to you in your second year. I'm coming up on my one year in November too. Hope you'll stop by sometime! Happy 1 year!! I love your blog and all the awesome projects you have done :-) Hope you have many more birthdays! Congratulations on your first blogiversary!!! Wishing you continued enjoyment and success with it!!! Great job on the projects and I'm looking forward to reading many more posts! I can't believe it's been a year already!! Happy bloggy birthday friend!! Happy Blogging Birthday! Your blog is an inspiration and a blessing all rolled up in one! Keep up the good work and as always I will enjoy every bit of it! Just found your blog recently and am LOVING your huge dose of color in an otherwise very greige blogger world. Happy Blog Birthday! From the beginning you have provided excellence to your readers. I am an outspoken fan and I love to share your blog. Congratulations for your well-deserved success. Happy 1 Year! I recently moved in to a home that needs a COMPLETE makeover and I've gotten so many easy ideas from your blog! Thank you for helping me see how I can transform the stark white bedroom walls in the bedrooms, the sailboat wallpaper in the bathroom, and the grease spattered kitchen into what will become amazing (and on a budget)! Happy Blog Birthday! You are a treasure. Thanks for sharing your life and heart. Jennifer, though new to your blog, I'm loving it! I just love your gallery wall! I too just love staring at memories like you have posted! I am always afraid it will just look cluttered when I'm finished but it looks terrific on your wall! Happy One Year Blog Birthday! I just found you but am so happy I did! You always have fantabulous ideas! Happy First Birthday, D & T!! You know I love your style and inspiration, and equally as great is that you're just as kind, sweet and encouraging! Thanks for being a wonderful blogging friend! Happy Anniversary! I am a Pastor's wife also, and I enjoy reading your viewpoints! HaPpY bLoG bIrThDaY!!! I LOVE YOUR BLOG! Congrats-you are an inspiration! Ok so the bike wheel memo board, as I said, inspirational...making one for my husband's 50th with memos attached-loves to bike and the perfect homemade gift! Thx for the giveaway! Love the site, a blogs follow and read every post! Thanks"
Happy bloggy birthday -- and thanks for giving us the gift! I just found your blog and subscribe by email. Thanks for sharing. I found your blog through Pinterest and have been enjoying ever since! You are a creative inspiration! May you have many more blog birthdays!! Congratulations for 1 year!!! I discovered you through pinterest and immediately started following:) Looking forward to what you have for us over the next several years! Congratulations! I really thought you had been blogging much longer. You're a pro at it plus all the projects. :) I just noticed the sidebar with all the new labels ~ did you do them? Of course, I'm a follower and receive email updates too. Will check out your FB page. I am probably the only person that doesn't 'tweet' but I am on Pinterest at times. Thanks so much for the opportunity to win! Gift cards are always, always appreciated. Can't believe it's been a year...crazy!!! Happy blog birthday, sweet friend!!! Congrats on doing something you love and are definitely gifted at, for the past year! So glad I'm in on it now- Happy Blog Birthday, Jen! Happy Birthday to your blog (and Happy 40th Birthday to you). I look forward to another great year of wonderful projects. Hi, Jennifer! Congratulations! Thanks for the chance to win the giveaway. Jennifer, your blog is great...or I should say your talent is great. I'm glad I found you and enjoy the Edmond connection. :) Congratulations on your one year anniversary. Blogging is a time consuming and fun, fun, fun endeavor. Keep it up! 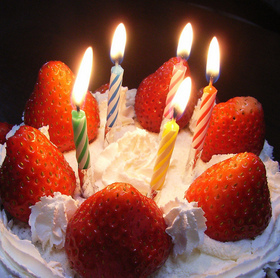 Happy Blog Birthday!! I love your site, keep up the great work. One of my favs is your silver laundry room with the pictures. So, I am in the process of doing my bathroom like that. Just have to get those pics on the wall now! Thank you for all the great ideas and hours of enjoyment through your creations. Congratulations on your blog birthday! 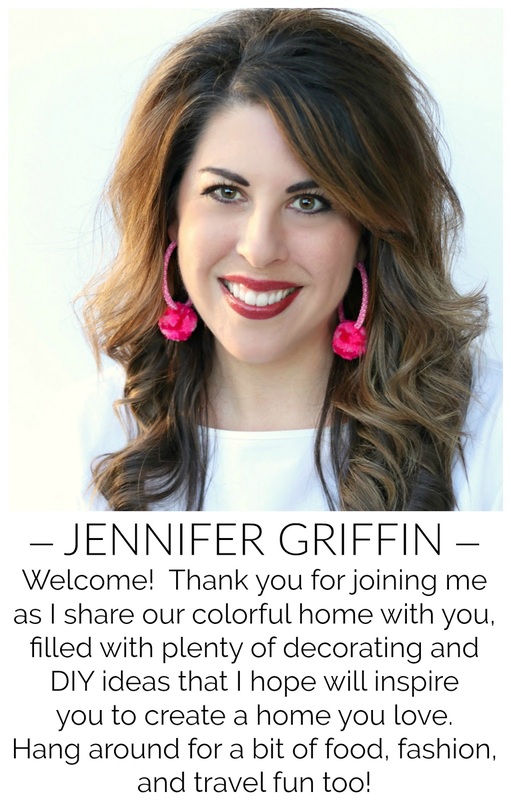 I enjoy your blog very much and am looking forward to seeing more of your decor projects! Please enter me in your giveaway! I enjoy reading your blog & seeing your beautiful decor! I love your blog! I check it every day! Love your blog and the great ideas you give! I'm always excited when I see a new post from you! Such an inspiration! Happy Birthday Dimples and Tangles! Jennifer, I am so glad God gives us creative people like yourself, to brighten the days of the noncreative people like myself. Keep up the good work! Jennifer, there are few blogs that I follow regularly, and fewer with those who have become friends. Yep, blog friends can be real friends, particularly when the Lord is the common denominator. Aside from the beauty, creativity and inspiration you share every. single. time. (No pressure...haha! ), I am so thankful just for you. Talk about an email or comment that comes in at just the right time. That's you. Thankful for you...your blog...and how God is using you. Happy blog day! Thank you for the chance to win! Pick me! Just recently found your blog and it's great! Love your style. Jennifer~ you are so talented and creative! I love reading your blog! Thanks for sharing! I am a new follower of your blog! I Love your home and style! Happy Birthday! I'm a visitor from It's Overflowing. Loved your creativity. I'll have to keep following for more ideas. 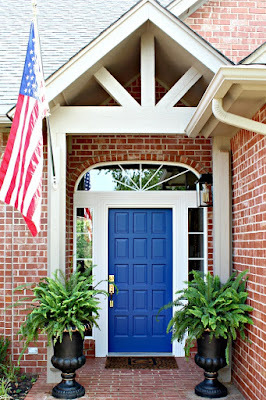 I just found your blog from Its Overflowing and was inspired from your gorgeous home tour pictures! Now subscribed via rss.. Happy Birthday to your Blog. How exciting! This is my first visit, and I have thoroughly enjoyed myself. Your home is beautiful, and you have awesome ideas, some of which I hope to use. Thanks for the gift giveaway. Happy bloggy birthday! Love your home tour! HAPPY BLOG BIRTHDAY!!!!! You have a B-E-UTIFUL home and I enjoy reading all of your posts, wishing you the best and MANY more BLOG YEARS to come! ;D Can't wait for your next post thru email.....IM SUBSCRIBED! Just came over from It's Overflowing and am going to enjoy going back in time and reading your posts. Congratulations on your anniversary! Thanks for the chance to win such a nice prize. Happy Birthday to your blog! I'm a new follower and love your inspiring posts. Looking forward to many more! Blessings! I love your use of textures, patterns, and colors in your home. Loved the tour of your home. You have a touch for the beautiful. Thanks for opening up your home. Isn't it crazy that's it's been a year already? And to look back on how much has been accomplished and how much you've learned is pretty amazing - not to mention the buddies and friendships that come from blogging. Much continued success to you Jennifer!